HE BETTER PART of my years in high school were spent “trading,” and I’m not referring to stock market trading. I’m talking about trading recordings of the “Golden Age” pianists: Lipatti, Rachmaninov, Cortot, Godowski, Friedman, and so forth. In those days, everything was “cassette” tapes (youngsters won’t know what these are). The first time I ever heard Hofmann play Chopin’s 4th Ballade, it was from an old LP record in the library. It’s unbelievable how times have changed. In the late 1990s, many important recordings were not available in the United States (believe it or not, even essential things like Horowitz performing the 3rd Scherzo of Chopin). Therefore, I would trade with collectors in Thailand, Italy, Belgium, Canada, and many other places. I remember one time when my mother got worried. She exclaimed, “Why are you receiving packages from China?” My calm response was, “Don’t worry, Mom: it’s just the Brahms-Paganini Variations played by Wilhelm Backhaus.” That’s a great recording, by the way! ALL THIS HAS BEEN CHANGED, thanks to YouTube. These days, people are posting the most spectacular recordings for all to enjoy. These are gems I would have given my right arm to possess years ago. I remember dreaming of being given access to the “live” Carnegie Hall recording by Horowitz of Liszt’s 6th Rhapsody. Ivan Davis spoke in awed tones about his octaves in this performance . . . and now we can hear it on YouTube! And you know what’s really crazy? People are posting recordings that have been held in their attics for 50 years! Incredible, no? For example, people used to only speak of three (3) recordings by Horowitz of Rachmaninov’s Third Concerto: Coates (1930), Reiner (1951), and Ormandy (1978). Nerds like me realized all along that the very best performance was the “live” Horowitz/Barbirolli in 1941. I’ve had this recording since 1998, and anybody who’s heard it knows it is the greatest ever made hands down. After great success with Rachmaninoff Concerto No. 2, in 1938 Barbirolli suggested to Gieseking that he play No 3 and their collaboration took place the following season, documented on this CD. The work is given without cuts, and Gieseking plays the bigger first movement cadenza. This is a reckless, dazzling performance quite different from the way the concerto is played by most of today’s pianists. The first movement opening is quite slow. Gieseking’s treatment of Rachmaninoff’s flowing themes is rather prosaic, some might say even insensitive. His attack of the original cadenza leaves many notes by the wayside (mishaps that occur often throughout the concerto) but there is no question of the visceral excitement produced—this from a pianist best-known for his Debussy and Ravel. It is fascinating to hear the final notes of the concerto played so deliberately, the same way Horowitz (unusual for him) played them in his 1950 Hollywood Bowl “live” performance with Koussevitzky. 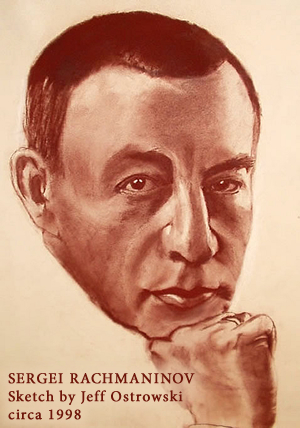 Rachmaninoff was in the audience for this performance and had a long conversation with Gieseking afterwards, evidently expressing his approval—and surprise at the concerto being presented uncut and with the original first movement cadenza. Another Gieseking Rachmaninoff Third is available from a concert March 28, 1940 with Mengelberg and the Concertgebouw. This (coupled with a Rachmaninoff Second from October 1940) is an even more slap-dash affair, missed notes galore and an impetuous forward drive (and, as one might expect from Mengelberg, very deliberate concluding bars). Mengelberg’s accompaniment is unique and he’s with Gieseking all the way—a flawed but exciting performance, available on Music & Arts (CD 4250). CD notes mention that Gieseking was to have recorded the Third with Karajan (an unlikely conductor for this repertory) for EMI. Kudos to Music & Arts for once again making important “live” performances available to collectors. THERE IS SO MUCH MORE I had planned to share with you, but I see I have gone on too long already. Therefore, let me stop here (and “offer up” the unfinished thoughts to our Lord). Why did I share these thoughts? What does all this have to do with Church musicians? The point is, God is in control. I used to feel very special because I had amazing recordings nobody else did. It turns out, in the blink of an eye, everyone can have those recordings. This is a reminder to us: God is in control. We might think we’re in control. We might think we have it “all figured out.” However, in the blink of an eye, God can change everything. Let us always make sure that no matter how we spend our time, we won’t end up regretting it for all eternity.